It feels like it has been forever since I have been able to post. Between getting everything ready for the holidays and having finals the same week as Thanksgiving, I am surprise my hair has not fallen out. To kick off the month of December I decided to do something out of the ordinary for gift giving. 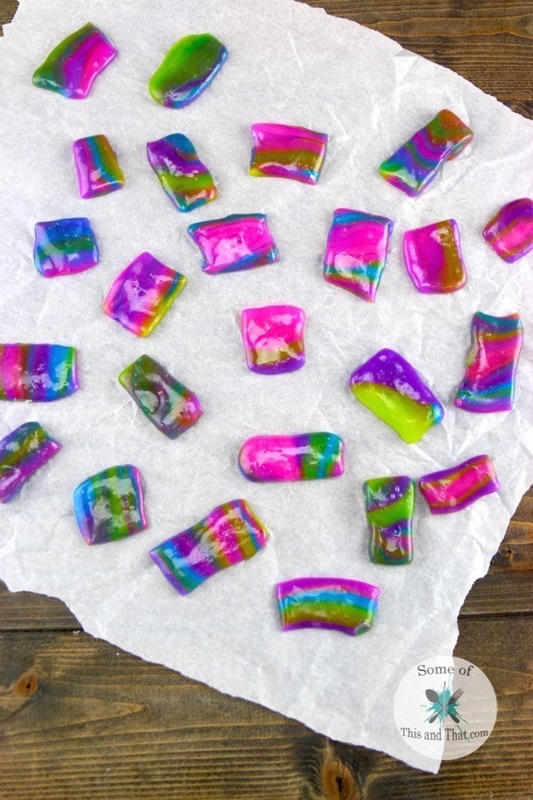 Today I am sharing a simple Homemade Rainbow Taffy Recipe! I feel as though everyone gives out cookies for the holidays, so why not mix it up and give your friends and family something a little bit unexpected! This recipe is super easy, and you can create any flavor and color that you want! If you are having a party with a specific color scheme, you can customize this recipe to match! Not only that, they are so tasty! I used peppermint extract to flavor mine, but you can make them any flavor, or even a combination of flavors! I plan on making some pink and blue taffy and flavor them with cotton candy to give it out, because who does not love cotton candy?!?! In a sauce pan combine sugar, corn syrup, and water. Over medium heat, stir until sugar is completely dissolved. Once sugar is dissolved, turn the heat up to medium high and place in candy thermometer. Heat mix to 270 degrees F.
While mix is coming to temperature, butter a baking dish well and set aside. Once candy reached 270 degrees F, remove from heat and add in flavoring. Pour candy into the buttered dish and allow to cool until it can be easily handled. Cut into equal portions and add colors to each portion. Butter hands well and begin stretching and pulling the candy. 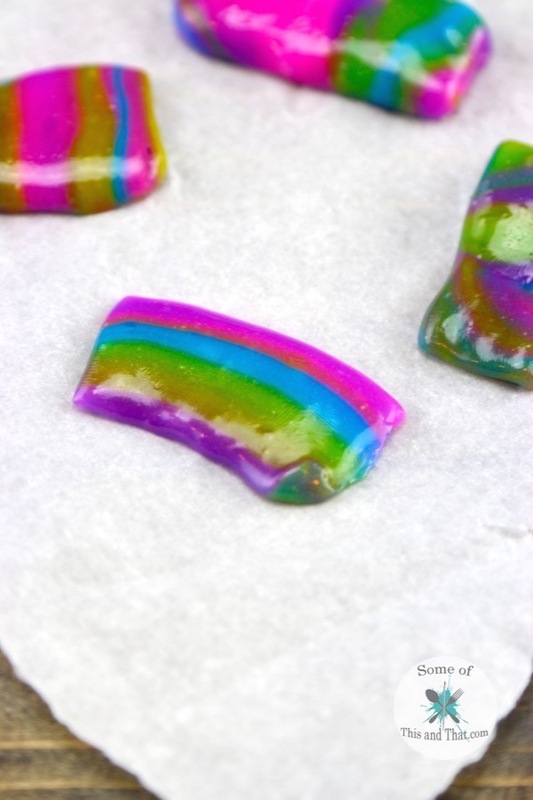 The candy will start out translucent, but will begin to become opaque as you stretch it. 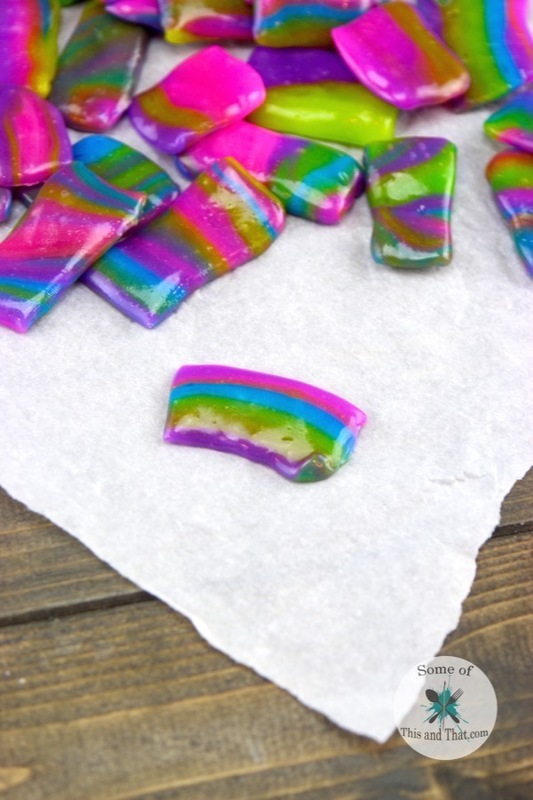 Once completely opaque, roll out into a snake and use a sharp knife or scissors to cut into bite size pieces (make sure your utensil is buttered well). To prevent sticking, make sure hands and utensils are buttered well before handling the candy! 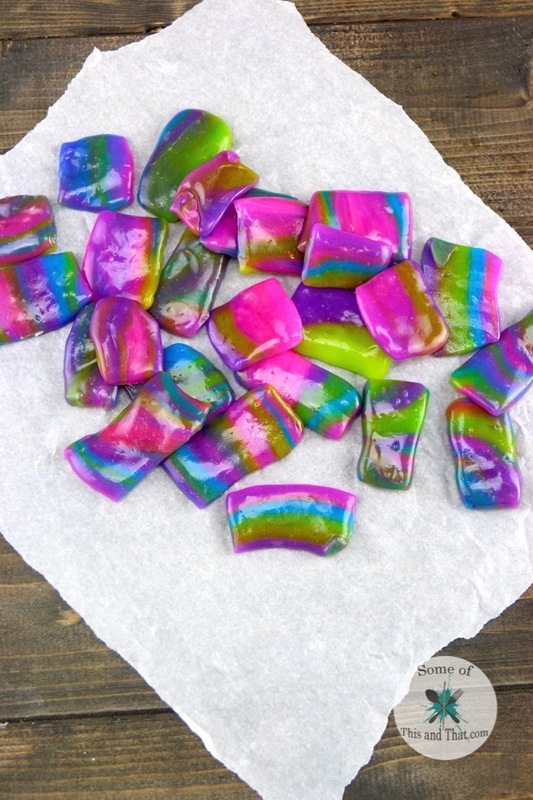 See how I made the Homemade Rainbow Taffy Recipe in the video below!